This has come from Barry Gaines with his father’s permission, Frederick Gaines. On the 2nd of January 1943 a German lone ranger aircraft on a reconnaissance mission attacked Kingsbridge High Street. 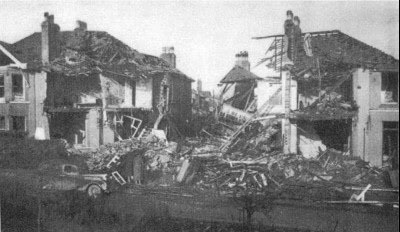 The bomb hit 63 Fore Street. 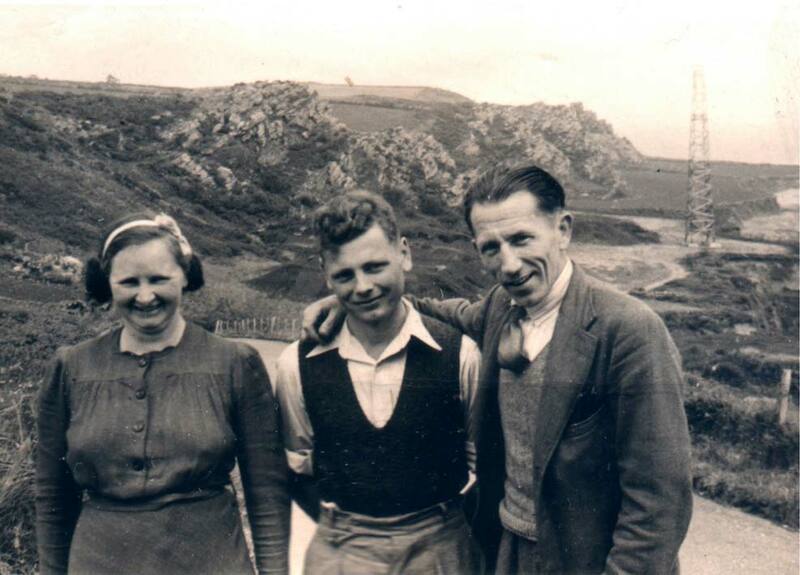 Fred’s Aunt Ethel and Cousin David were caught in the blast, David dying of his injuries later that day in South Hams Cottage Hospital aged just 10. Aunt Ethel was seriously injured and so she was only allowed out of hospital if there was someone at home to look after her; uncle Mont was in the East serving with the Royal Navy so Fred stepped in and stayed with her for the next 3 years until Uncle Mont returned. This was a tragedy at a time of great tragedies; with war coming Uncle Mont had moved his family to Devon away from Portsmouth to remove them from the bombing he knew would come. Child. David John Wesley Standfast of 7 Prawle Point, Chivelstone. Son of Montague John Wesley Standfast R. N. Injured at Kingsbridge on 2 Jan 1943; died the same day at South Hams Cottage Hospital aged 10. 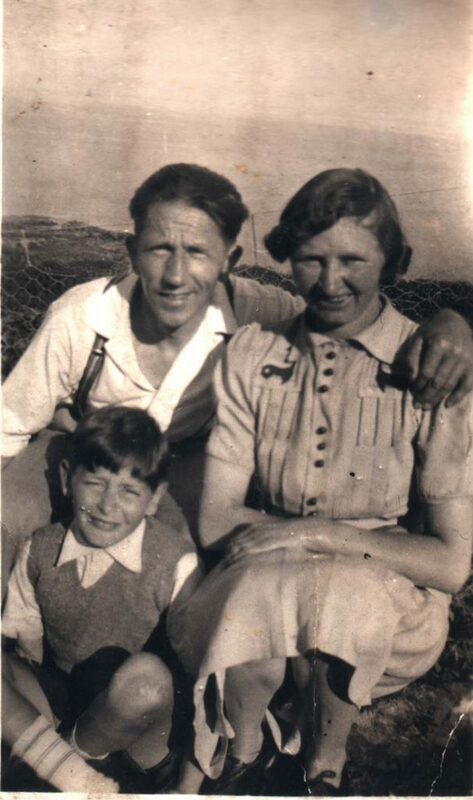 Aunt Ethel, Uncle Mont and David – happier days.